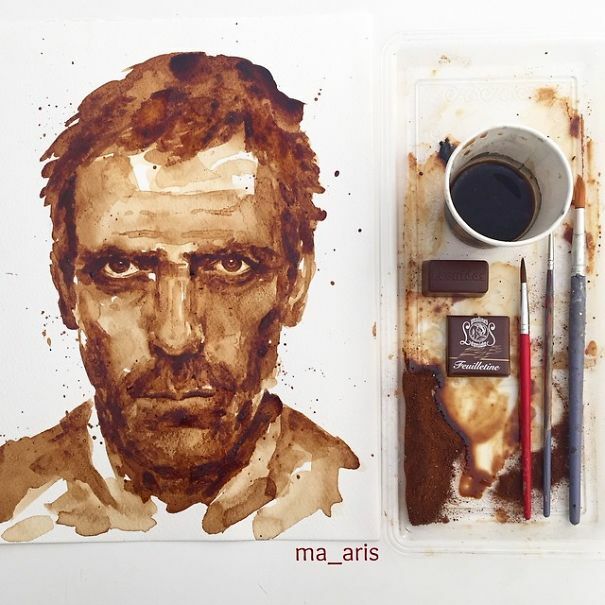 Artists are known for consuming high amounts of coffee and using that caffeine to get an edge. 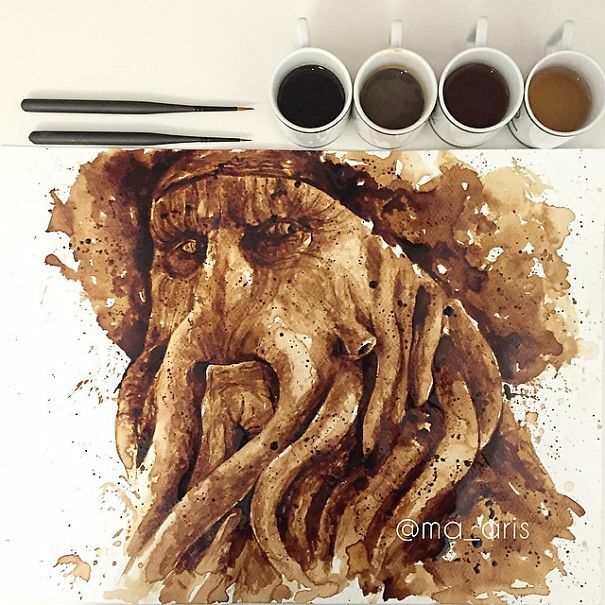 But artist Maria A. Aristidou brings new meaning to using coffee for art. 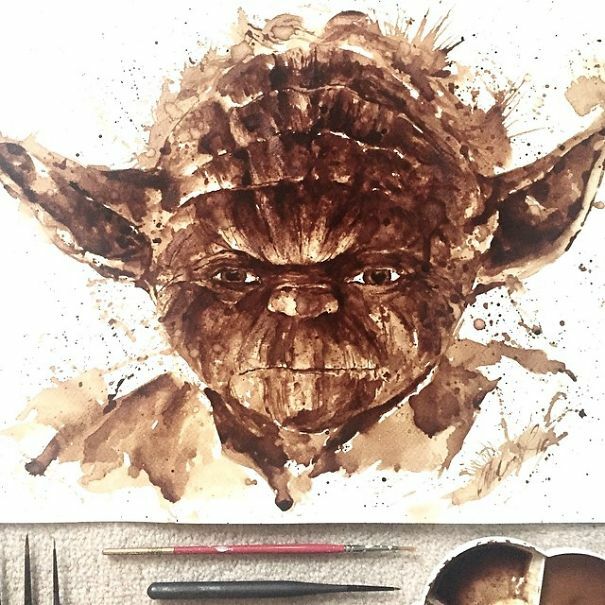 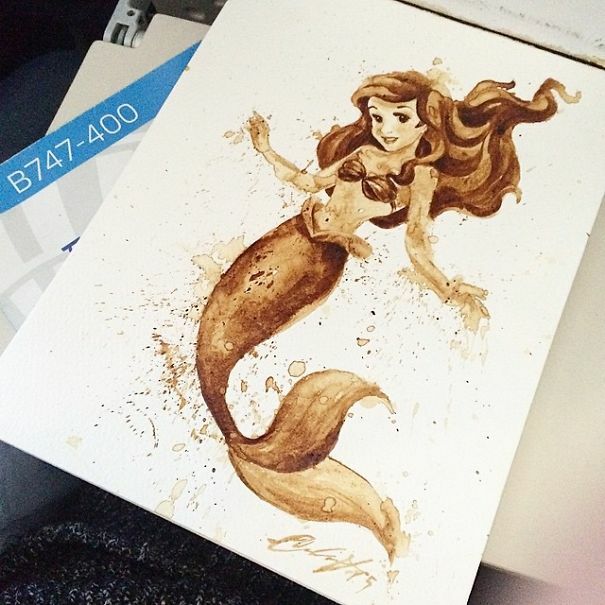 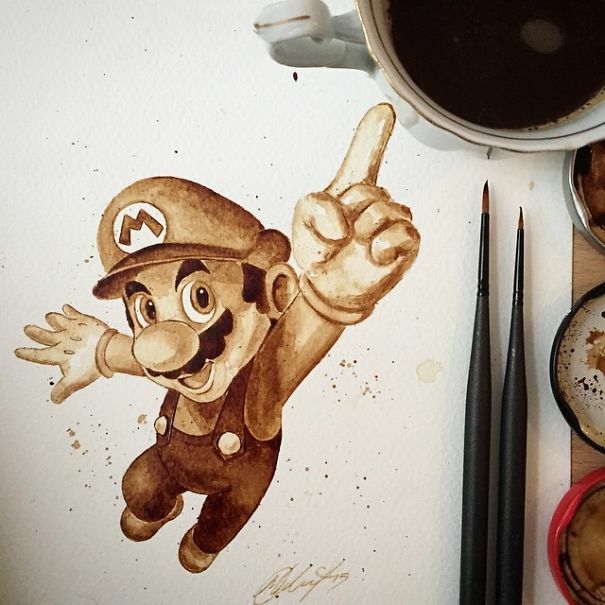 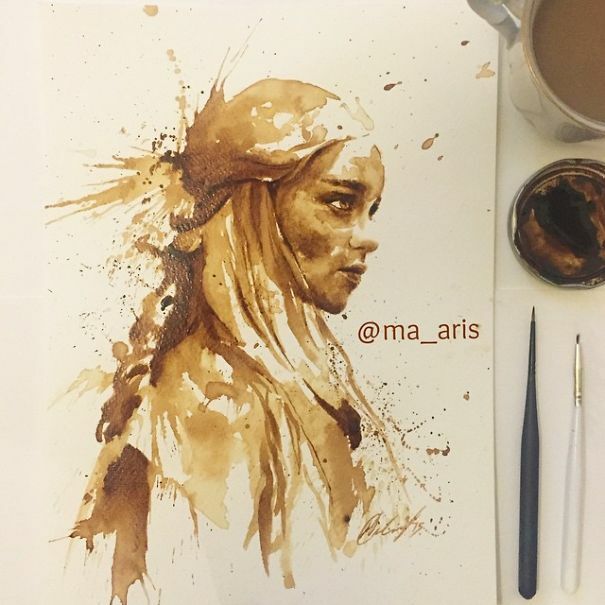 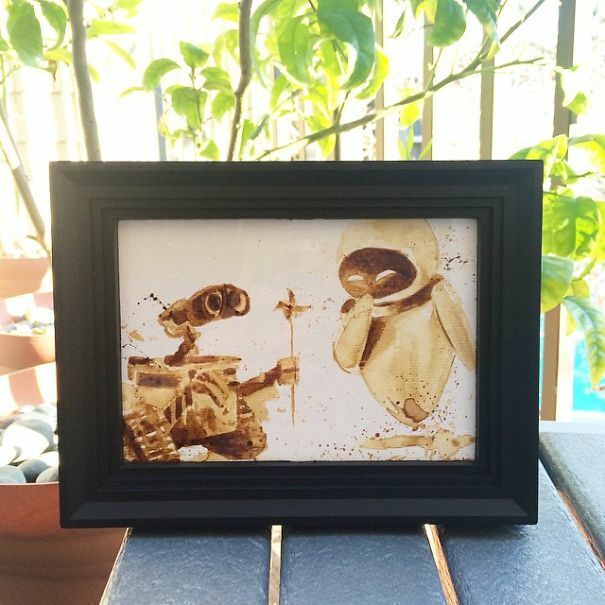 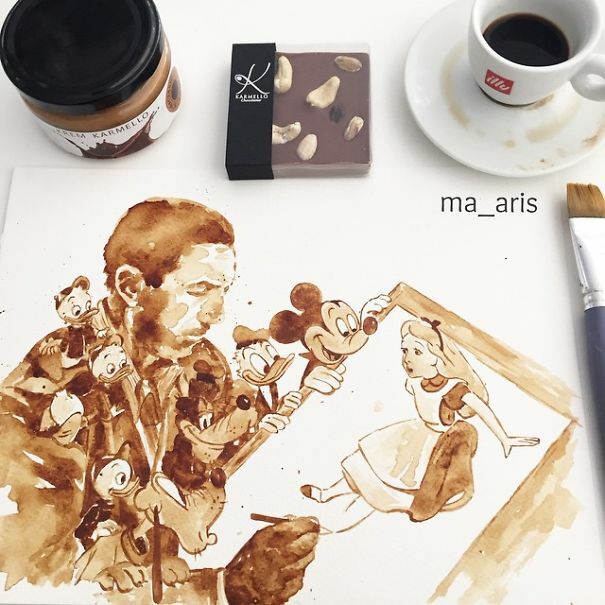 Aristidou used coffee to create incredible works of art. 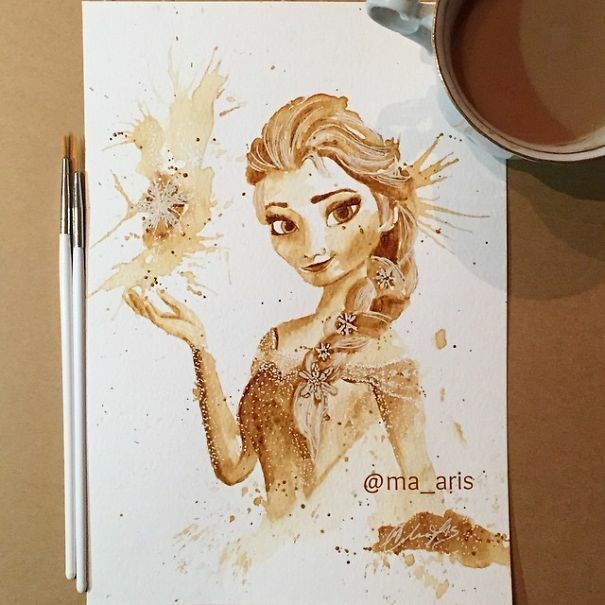 I made the first illustration by accident. 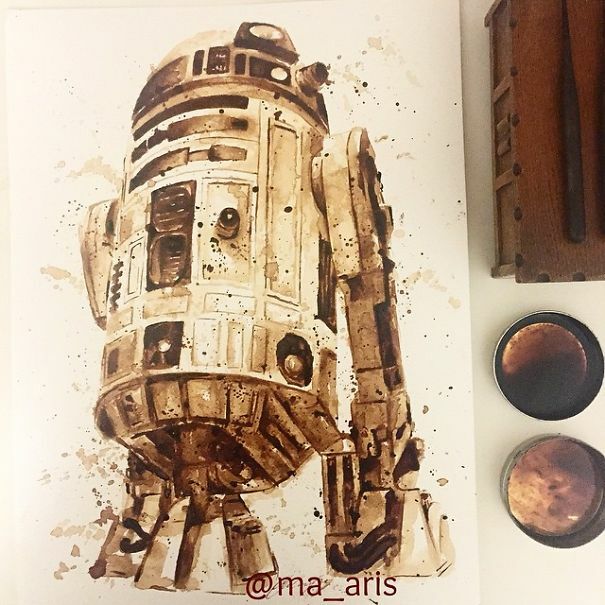 Now I mostly create things and figures that I love, which makes painting them much more fun and challenging in order to get the right shape and shade. 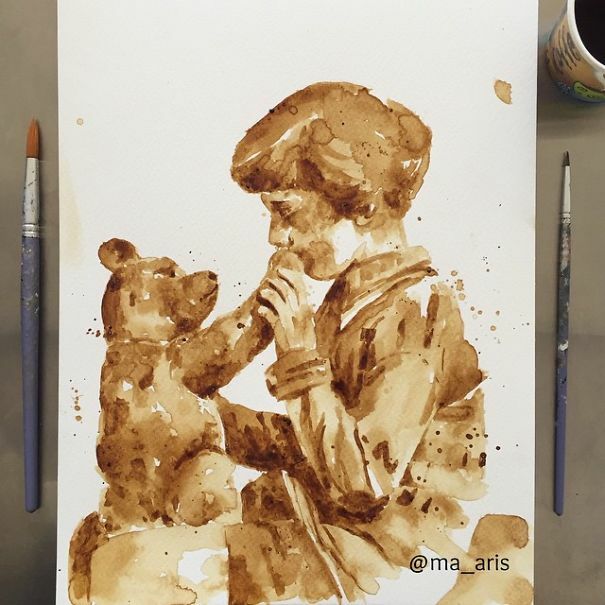 Using about five different blends of coffee and water paint paper, Aristidou comes up with some amazing results.